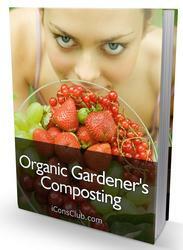 One of the primary benefits of adding compost is the addition of organic matter. Organic matter has many positive benefits in creating a suitable medium for plant growth, including impacts on soil physical, chemical, and biological properties. The addition of compost to the soil almost always improves physical properties of the soil such as aggregation, water-holding capacity, porosity, and aeration. The solid particles of soil are bound into structures known as aggregates, which are affected by the physical, chemical, and biological conditions existing in the soil, especially the microbial decomposition of organic matter. The application oforganic matter to the soil provides a food source for soil microbes and other soil animals such as the earthworm. 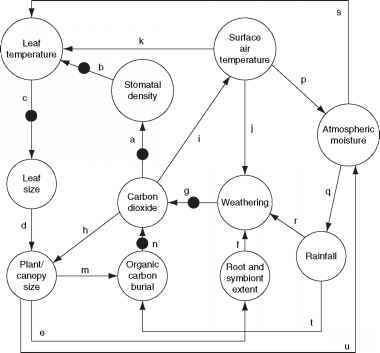 The activity of these organisms produces substances that increase soil aggregation. With increased aggregate stability, the ability of the soil to withstand physical impacts, such as water and traffic, are increased. In most cases, compost addition to soil will substantially increase aggregation, particularly in soils that initially have poor aggregation. A soil in which the small soil particles are bound into aggregates, does not crust and allows good water penetration. This allows easy cultivation, reduces erosion, increases aeration, and enhances root respiration and further organism activity, all generally beneficial for plant growth. Irrigation can sometimes be reduced with compost added to a coarse-textured soil. For instance, compost will typically hold 100-200% moisture at field capacity, whereas a sandy soil may only hold 15-20% moisture. Adding substantial amounts of organic matter to a coarse-textured soil can translate to increased retention of water in the rooting depth of the soil, less frequent irrigation, and less leaching of water and added nutrients below the rooting depth of plants. Compost additions can also have extremely beneficial effects on soil chemical properties other than nutrient availability. These include buffering of soil pH, increases in soil cation exchange capacity, and the reduced activity of potentially toxic substances. Generally, compost will increase the soil pH for acid soils and reduce the soil pH for alkaline soils. Composts produced from recycled waste material is generally near neutral or slightly alkaline in pH, though compost pH from 5.5 to 8.0 is commonly observed. Soil pH near neutral is ideal for most plants, though some plant species, particularly ericaceous species, need more acid soils, and will suffer micronutrient deficiencies at neutral pH levels. Higher pH levels may aggravate certain plant diseases as well, though there is no general rule for all plants, and this is not a common observation. One of the most important benefits of addition of organic matter is an increase in the ability of soils to retain nutrients in an available or slowly available form. For instance, the cation-exchange capacity (CEC) is a measure of the binding potential of a soil as a mechanism to hold cations. It is strongly related to the amount of organic matter and the proportion of clay, both of which have negatively charged sites that attract the positive charge on nutrient cations. Compost additions increase the CEC for most soils, often substantially. Thus, fertilizer nutrients that are added to stimulate plant growth are more likely to be retained in compost-amended soils, whereas they may leach in higher concentrations from an unamended soil. Figure 7 Metal (M) chelate with ETDA. compost and its decomposition products (which are complex) is to consider them in terms of their active functional groups, such as amine, phenoxyl, and car-bolylic groups. A nearly limitless variety of similar structures can exist in nature, with functional groups bound to a variety of other organic structures. The strong metal-binding action of organic chemical functional groups in compost can either remove soluble metal ions from solution when the organic molecule is insoluble, or as larger organic polymers are split to form smaller compounds, or protonated groups are deproto-nated, they can become water soluble and act to increase water solubility of metals. Similarly, compost provides a buffer that protects against leaching of herbicides and insecticides through the soil profile, though it may also inactivate certain soil-active pesticides. Studies have shown that compost is an excellent parking lot runoff adsorbent; so if runoff is allowed to penetrate through a layer of soil that is compost amended, it is less likely to carry pollutants to surface water bodies. The use of compost has sometimes been seen to reduce the incidence of disease in some plants. A variety of factors affect the disease suppressiveness of composts, including particle size, nutrient content, cellulose and lignin content, soluble salts content, pH, inhibitors released by the compost, and biological antagonists present in the compost. The fertility of a plant growth medium can affect the severity of plant diseases either by growing a healthy plant more capable of resisting disease or insect attack or by causing succulent growth that is more susceptible to attack. The compost can also contain organisms that directly compete with plant pests or act as an alternate link in the life cycle of plant pests. For instance, examination of suppressive and nonsup-pressive composts found that the suppressive compost had a high population of mesophilic bacteria, actinomycetes, and total fungi and the nonsuppressive compost became suppressive after it was colonized by these organisms. It is thought that these organisms were utilizing the available nutrients; so none were left for the growth of disease-causing organisms. Disease suppressiveness can disappear when a surplus of nutrients is made available. This points to the requirement for balancing fertilization rates. Overall, there is a great deal of evidence that compost is beneficial in disease suppression. This is backed by research results as well as observation in day-to-day greenhouse and field work. Immature composts are typically toxic to plants, and immaturity of compost is commonly implicated where compost fails as a plant-growth medium. A variety of potentially toxic intermediate products are produced during the decomposition of waste materials. Among these substances are ammonia, ethylene oxide, methane, hydrogen sulfide, fatty acids, and S and N compounds. Most of these substances smell quite bad, and the nose is often a good judge of compost maturity and quality. Research has shown that these substances are generally destroyed as the composting process proceeds to maturity. This points to the critical role of maturity in providing a good compost. Compost should have an 'earthy', 'musty' smell that reminds one of the odor of rotting logs in the forest. These odors are produced by actinomycetes and are indicative of the aerobic decomposition of recalcitrant organic material that is an indicator of well-humified compost. Many types of commercial compost are available in the typical garden-supply store, including compost derived from municipal yard waste, animal bedding and manure, and sometimes municipal refuse. Some municipalities collect food waste from restaurants and produce compost from the food waste. Compost is also commonly made from municipal biosolids mixed with other organic material such as wood chips or yard waste. Composting organic waste materials into such useful products solves two of society's problems by offering a mechanism for dealing with the waste produced as well as producing a useful soil amendment, and because of this, controlled composting is likely to increase in importance in the future. See also: Biomass, Gross Production, and Net Production; Climate Change 2: Long-Term Dynamics; Ecosystem Services; Enzymatic Processes; Growth Constraints: Michaelis-Menten Equation and Liebig's Law; Industrial Ecology; Microbial Communities; Microbial Ecological Processes: Aerobic/Anaerobic; Nitrification; Organic Farming; Water Availability.